Ricarda Dongallo Villanueva was born February 7, 1920 in Macaas Catmun Cebu in the Philippines. She left this earth and went on to glory on January 18, 2019, just shy of her 99th birthday. Ricarda was preceded in death by her father Luis, mother Eufracia, 6 siblings, her daughter Gilda Gannon, granddaughter Geraldine Gannon, and grandson TJ Wilson. She leaves behind her daughter Alicia Candelino & her husband Joe of Wilmington, MA, her daughter Estrella Wilson & her husband Tom of Forsyth, MO, and her son Johnny Villanueva of Sedalia, MO. Ricarda was blessed to leave a legacy of 11 grandchildren, 34 great grandchildren, and 9 great great grandchildren. Ricarda was a talented seamstress in her younger years, she owned a dress shop in Cebu City, Philippines and loved making her children and grandchildren beautiful clothing by hand. During World War II, she was forced by Japanese soldiers to mend their uniforms. By the grace of God she was able to escape and ended up being partially deaf because of the trauma she endured. Beyond her creative genius, she was also famous for her incredible culinary skills and always insisted on feeding anyone who came to her home. She loved watching action films and television, her favorites being anything with Jackie Chan. Ricarda became a United States citizen in 1992, this was something that she was very proud of. She asked her grandchildren to bring home their history books from school so that she could read and study them for the nationalization tests, along with the required study materials. She practiced the Pledge of Allegiance and the National Anthem with her grand babies until she knew every single word. She was very vocal about her gratitude towards her son in law Tom, who brought her to America so many years ago. She loved being an American and viewed it as an honor and a privilege to be in the United States. Most people know Ricarda as Lola. In her native tongue, Lola simply means “grandmother”. She was lovingly referred to by everyone who met her as Lola. She became Lola to every person that she welcomed into her home. When meeting a new person, she did not say “hello” or shake their hand, instead, she pulled them in for a hug and told them “I love you.”. And she meant it. She never met a stranger. She loved people well. 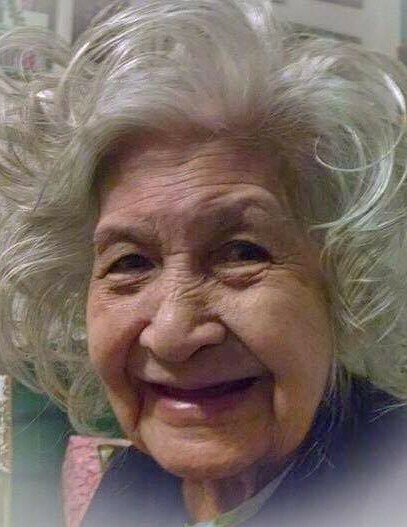 One of the most wonderful things about Lola was her infectious laughter. She truly had the most joyful spirit and it showed in her smile and in her bright eyes. She loved to laugh. The thing that Lola would want people to know about her is that she loved the Lord with her entire heart. She lived a life that was dedicated to serving God and serving others. She faithfully read her bible and praised God and prayed daily until the day the Lord called her home. A celebration of Lola’s life will be held Tuesday, January 22, 2019 at 1:00 P.M. at Snapp-Bearden Funeral Home and Crematory in Branson. Visitation will precede the celebration beginning at 12:00 P.M. on Tuesday, January 22 in the funeral home. Burial will be at a later date in the Philippines.